2. Add the peppercorns and dry roast for a few seconds. 3. 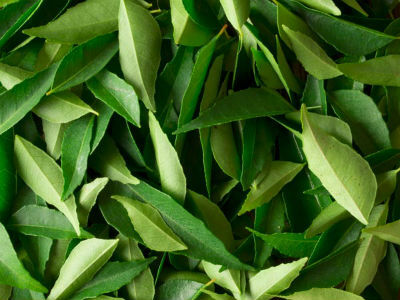 Remove and dry roast the curry leaves and asafoetida. 4. Turn off the heat and add salt. 5. Stir well and keep aside to cool. 6. Combine all the ingredients except rice, ghee and mustard seeds. 7. Grind them together to a fine powder. 8. In a small frying pan, heat ghee and fry the mustard seeds. 9. Add this to the rice along with the curry leaves-peppercorn powder. 10. Mix well and serve hot. Feel free to comment or share your thoughts on this Karuveppilai and Milagu Rice Recipe from Awesome Cuisine.